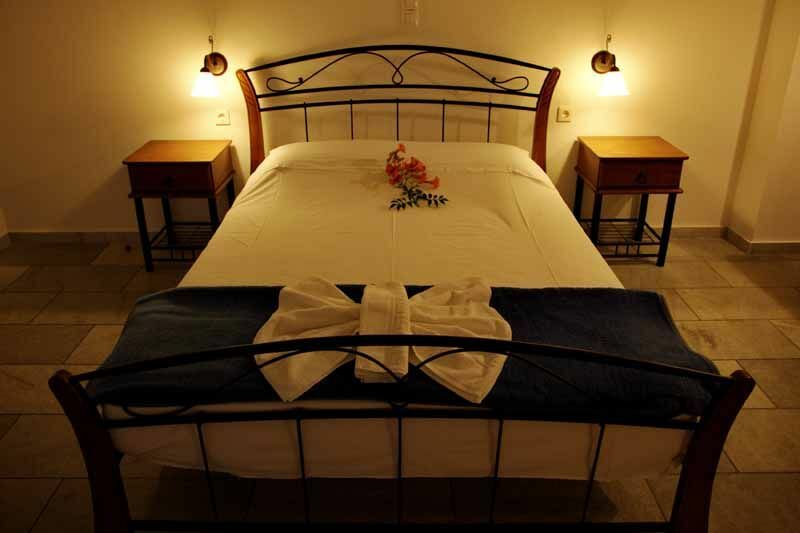 On the ground level of our accommodation, there are the studios, triple rooms with a double and a single bed. 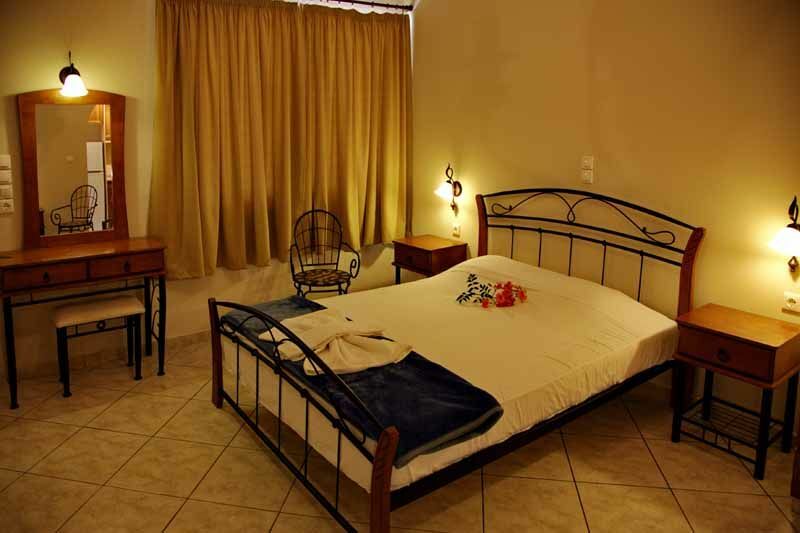 These rooms are suitable for the comfortable stay of a 3 member family. The beds are spacious with fine mattresses that make sure for you a relaxing sleep. So that you’ll be restful and active for the whole day, enjoying your vacation at the most. The bathroom with the shower is supplied with hot water day and night, so you can take your bath whenever you want. Every triple room affords air-condition, tv and wireless wi-fi network. 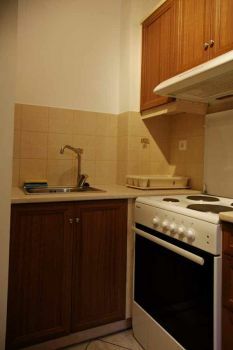 The full kitchen facilities of the room includes refrigerator, electric cooker with oven, sink, hood and kitchen cabinets. So that is not necessary for you to search every time the restaurant for your meal but you’ll be able to cook your own meal in a cost effective way. 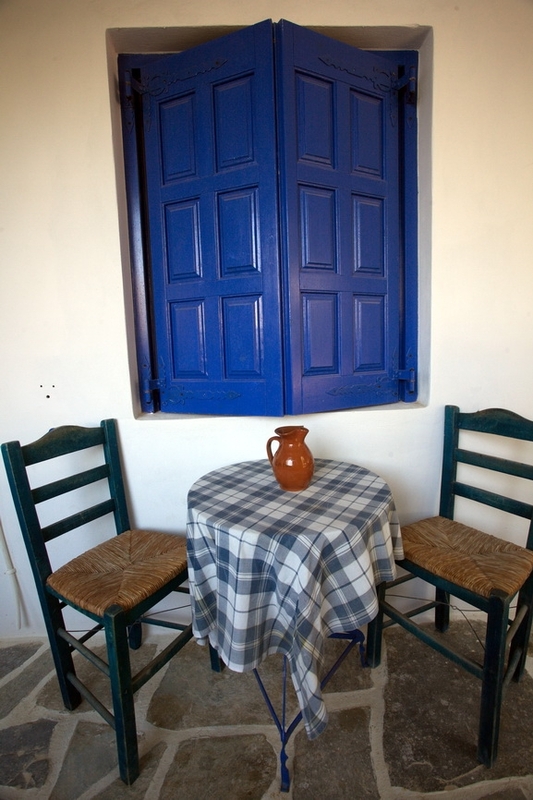 For relaxing outside your room, during the nightfall, the private yard of your room is the ideal place.